You could be forgiven for thinking that this is an early April Fools Day joke, but the Department of Transportation and Communications (DOTC) isn’t kidding: Starting April 1, the agency will strictly implement the “no registration, no travel” policy. All motor vehicles must now show valid license plates or risk being apprehended. Memorandum Circular No. AVT-2015-1927 issued by the LTO on March 20, and pictured below, is pretty clear in its wording: Starting 01 April 2015, no four (4)-wheeled motor vehicle can be used, driven or operated on the roads without being duly registered with the Land Transportation Office (LTO) pursuant to R.A. 4136, Joint Administrative Order No. 2014-01 and other applicable rules and regulations. 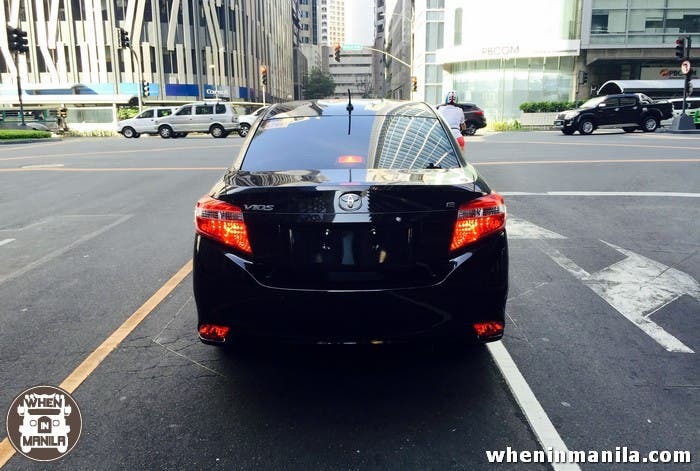 Under the No Registration-No Travel policy, any four- wheeled motor vehicle running without a license plate may be apprehended by traffic enforcers because all motor vehicles are required to have valid license plates. The plates can either be the nine older green-and-white license plates or the new black-and-white ones, as long as they are valid. Penalties for violating this policy can be rather stiff and include a P 10,000.00 fine for driving an unregistered vehicle, which is assessed against the vehicle owner, and a P 1,000.00 fine assessed against the driver. If the driver is able to present a Certificate of Registration (CR) and an Official Receipt (OR) of the vehicle to prove that it has been registered, the driver will be fined only P 5,000.00 for failure to attach license plates. For motor vehicles that are within the 7-day registration process, the driver must present the Certificate of Stock Reported (CSR), Sales Invoice dated within seven days prior to the apprehension, and a Certificate of Insurance Cover dated on or after the date of Sales Invoice. If such documents are presented, no penalties will be meted out. As an additional penalty, should the date of the Sales Invoice exceed thirty-seven days on the date of apprehension, the motor vehicle will be impounded by the Land Transportation Office. What are your thoughts on this? Is it really all down to the dealerships now, or is the government simply trying to look good by passing responsibility on to someone else? Let us know your thoughts and concerns in the comments!